Founded in 1881, Congregation Agudas Achim is the oldest traditional congregation in Central Ohio. 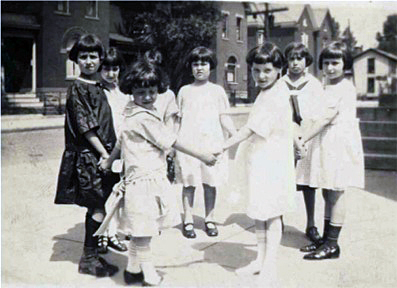 Agudas Achim’s history is deeply rooted in the Columbus Jewish Community, and over the years, its members have played, and continue today to play, pivotal leadership roles in both Jewish and secular community development – in Columbus, and indeed world-wide. The first Jews arrived in Columbus from Mittelsin, Germany in 1838. A number of families followed, and in 1849 the first synagogue was founded: B’nai Jeshurun, a traditional congregation led by volunteer lay rabbi. Later, stirred by reforms led by Isaac Mayer Wise, a group of members split off to form B’nai Israel (now known as Temple Israel). B’nai Jeshurun dissolved, and its more traditional members formed Congregation Agudas Achim. The first “Agudas Achim” minyan was held in a home on East Cherry Street, between Ninth and Washington Avenue in 1881. With the infusion of many new immigrants from Eastern Europe at the turn of the 20th century, the congregation expanded, moving over the next decade to 3 successive, ever larger locations on the near south-east side. In 1895, the congregation was able to purchase a building of its own at 464 South Fifth Street, which became the home of Agudas Achim for the next 12 years. The first Spiritual Leader of Congregation Agudas Achim was Kalman Ephraim London, who replied to an advertisement in the Yiddish Press for the rabbinical position open in Columbus. Starting at a salary of three dollars per week, he served the congregation from 1881 until 1894. Today, some of Rabbi London’s descendants remain active members of the congregation and the community. After a series of four relatively brief rabbinical tenures, in 1907, Rabbi I. Wiernikowsky (affectionately known as “Rabbi Wierni”) became the head Rabbi, as the congregation moved into a newly constructed large, beautiful building, designed in the traditional Orthodox style, located the at corner of Washington and Donaldson on the near east side. With the opening of the new synagogue an era of expansion for the Agudas Achim took place. From 1905 until the early 1920s, Jewish immigrants arrived in Columbus in greater numbers, and the many of them became affiliated with the Agudas Achim. By 1920, membership numbered close to four hundred families, as Agudas Achim, now referred to as the “big shul,” became one of the most active congregations in the Midwest. Meantime, beginning in the 1920’s, and continuing into the following decades, a shift in population was taking place, as Jewish families, many of them Agudas Achim members, began to move from the south side mostly to newer suburbs to the east. So it was, through the efforts of Rabbi Samuel Rubenstein, who had arrived in 1949, and the commitment of dedicated lay leaders, the congregation’s long-held dream to relocate to the Bexley area became a reality. 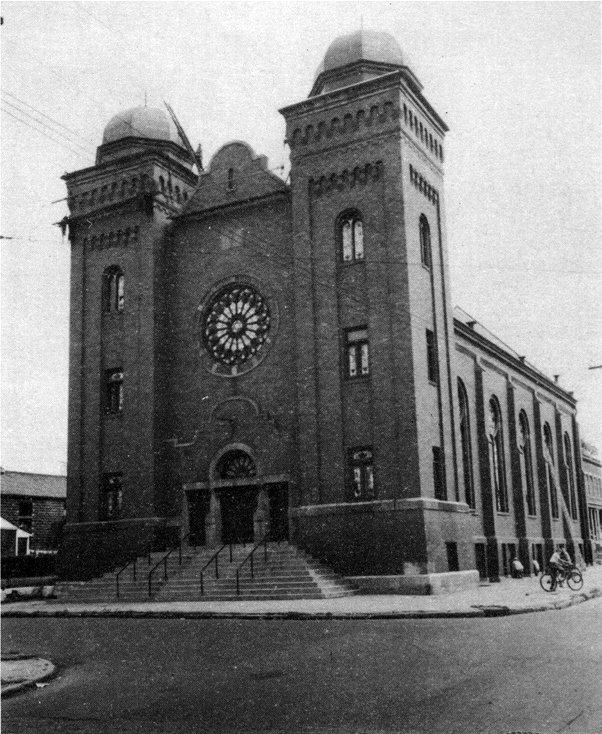 The synagogue, completed at Broad and Roosevelt in 1951, was a facility designed to accommodate a more modern approach to traditional worship, a style which many synagogues, particularly in the Midwest were adopting at the time. Rabbi Rubenstein continued to serve for 33 years until his retirement. In 1982 with the arrival of Rabbi Alan G. Ciner, Agudas Achim experienced a spiritual rebirth as a modern orthodox synagogue with the implementation of creative programming in study and prayer, leading to vibrant activity and involvement throughout the congregation. Additionally, Agudas Achim and its lay leadership could be found at the forefront of numerous community initiatives. Rabbi Ciner served for 18 years, moving on to pursue his interest in teaching. In the year 2000, the congregation completed a multi-million dollar renovation and expansion project, aimed at positioning the physical facilities for 21st century needs and activities. Over the next few years, the congregation also engaged itself in addressing its desire to retain its historic broad based appeal as the “big shul.” A decision was reached in 2004 that the ability to appeal to a broad spectrum of religious observance by its congregants could best be accomplished by an affiliation with the United Synagogue’s Conservative movement. Pursuant to this historic decision, a search began for a dynamic Conservative rabbi to lead the congregation into the next exciting chapter in its history. While the search was underway, Agudas Achim benefited from the seasoned experience of Rabbi Gerald B. Zelermyer, who came to Agudas Achim as Interim Rabbi in 2004-05, and served again in 2008-09. Rabbi Jason A. Miller was with the congregation in 2006-07. During this period, happily and remarkably, the congregation, when needed, demonstrated its resiliency by creatively utilizing the abilities of its lay members in conducting daily minyans and warm, spirited Shabbat services, and arranging for life-cycle events to be handled in a meaningful way, while engaging outstanding rabbis, cantors, and scholars-in-residence for major holidays and special programs. In August 2009, Rabbi Melissa F. Crespy came to Agudas Achim as the first woman to serve as senior rabbi in a Columbus congregation. The installation of Rabbi Crespy in January 2010 was an inspiring event that included renowned participants from both coasts, and attracted a wide audience from the Columbus community. Rabbi Mitchell Levine has served as the congregation’s spiritual leader since 2012. Today, Agudas Achim continues as a highly participatory synagogue. The Shabbat services are warm and engaging, benefiting from not only the teaching of Rabbi Levine, but also vibrant lay participation by an involved, educated body of congregants. The synagogue maintains its commitment to daily weekday morning minyans. Its governance is on a sound track, with active committees dealing effectively with every aspect of the synagogue’s operations. From the ranks of Agudas Achim have come leaders in every worthwhile communal endeavor. They are there to be counted on when challenges and needs arise. No cause, no drive, no venture of a philanthropic, educational or cultural nature was ever undertaken or successfully concluded in the Columbus Jewish community without the involvement of Agudas Achim members – their ideas, their energy, and their funds. Thanks to the commitment of its lay leaders, the involvement of its congregants, and the devotion of an outstanding staff, Agudas Achim continues today to fulfill its historic role for the benefit of the synagogue and Columbus Jewry.